Germany has been supporting biofuels for many years, but it seems that the accumulating proofs of their inadequacies are heard there. This time, it is not the fact that they emit more CO2 than previously thought or that they may plant the seeds of famine : they are simply still many cars that can’t run with them. As I was reporting earlier biofuels aren’t the panacea we once thought about and I am quite satisfied to see that their support is decreasing each day more. Berlin has abandoned plans to increase the percentage of ethanol in gasoline sold at the country’s pumps. New projections estimate that up to 3 million cars would have been unable to run on the higher mixture. It is rare that a government minister is blasted for reaching a decision that virtually everyone agrees with. That, however, is the situation Germany’s Environment Minister Sigmar Gabriel finds himself in. Gabriel, a Social Democrat, confirmed widespread speculation (more…) on Friday that his ministry was turning away from plans to up the percentage of bioethanol in gasoline sold in Germany from its current 5 percent to 10 percent. The higher level was set to go into effect next January, but with new numbers indicating that up to 3 million cars would be unable to process the higher bioethanol mixture, Gabriel abandoned the plan. The original directive was based on projections provided by the German Association of the Automotive Industry, which predicted that only 1 percent of the 31 million gas-powered cars on German roads would be unable to process a mixture including 10 percent ethanol made from plants. 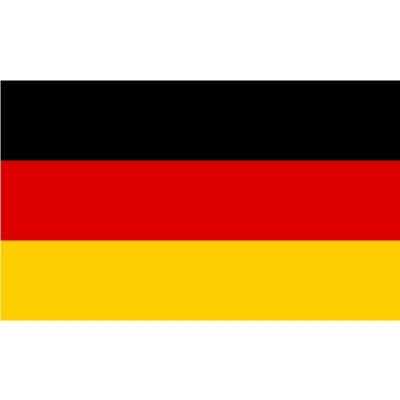 This week, though, both Germany’s car club ADAC and a group representing German automobile importers challenged that number and predicted that up to 3 million vehicles could be affected. Gabriel had said that, should the number of vehicles affected rise above 1 million, he would eliminate the directive. (…) Still, most are pleased that the mixture increase has been thrown out. On the right side of the political spectrum, politicians and activists had been concerned that the directive would have meant higher costs for German drivers. On the left side, growing concern about the environmental impact of biofuels (more…) had led many to call for a stop to their large-scale use in Germany. Many environmentalists have pointed out that a heavier emphasis on biofuels has resulted in the clearing of large swaths of rain forest in tropical countries to make way for biofuel crops. Gabriel’s about-face now raises the question of whether Germany will be able to achieve its ambitious climate protection goals, which call for biofuels to make up 20 percent of all fuel used in Germany by 2020. Carbon dioxide emissions from cars in Germany must also drop to an average of 120 grams per kilometer by 2012. According to the French newspaper Le Figaro, Austria might soon follow the example given by its neighbor and stop supporting biofuels. And you, what do you think about biofuels ? Do you believe they are absolutely great or they are the seeds of famine ? In any case, be sure that I will keep you posted on this topic. So, for this and for much more, stay tuned and don’t hesitate to leave your opinion ! Pingback: Sustainable development and much more… » All cars hybrid by 2020 ?